Atlantic Ocean Area The Size Of Virginia Protected From Deep-Water Fishing : The Two-Way Coral in an area in the Atlantic Ocean stretching from Connecticut to Virginia has been protected from deep-sea commercial fishing gear, by a new rule issued this week. A deep sea red crab hangs out on a bubblegum coral in Phoenix Canyon, off the coast of Delaware. 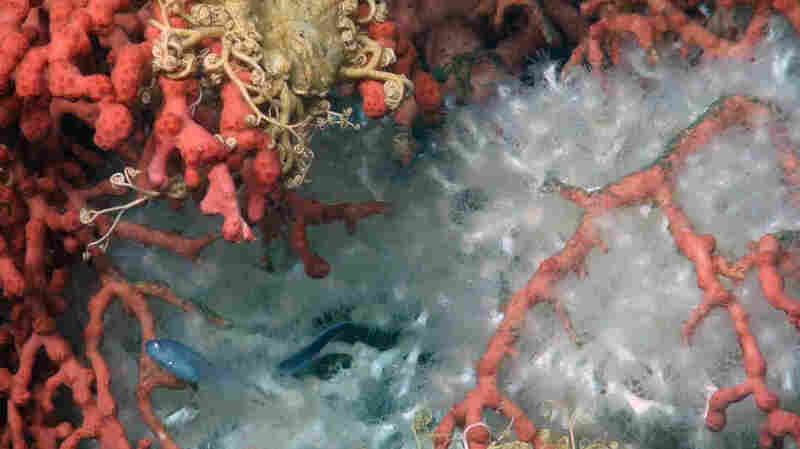 Coral in an area in the Atlantic Ocean stretching from Connecticut to Virginia has been protected from deep-sea commercial fishing gear, by a new rule issued this week by the National Oceanic and Atmospheric Administration. The protected area covers some 38,000 square miles of federal waters, NOAA says, which is about the size of Virginia. 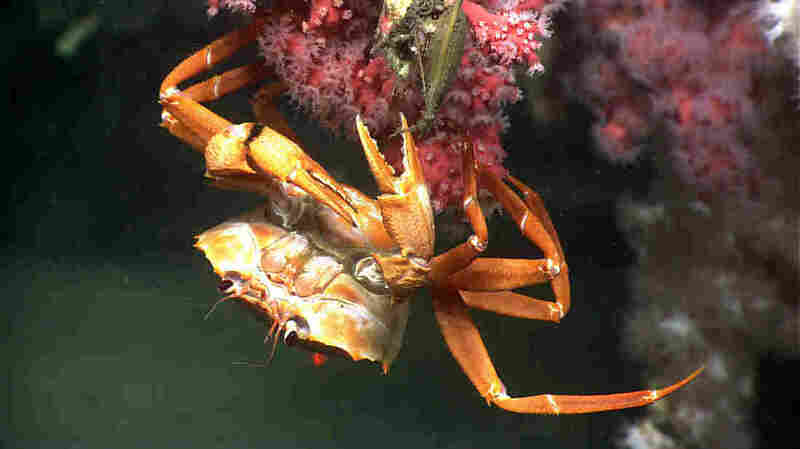 It's the "largest area in the U.S. Atlantic and Gulf of Mexico protected from a range of destructive fishing gear," according to the NRDC, an environmental advocacy group. The new regulations prohibit the use of bottom-tending fishing gear at depths below 1,470 feet. Boats are allowed to cross the protected area as long as they bring the banned heavy gear on board while they do so, according to the text of the rule. It is set to go into effect on Jan. 13. It's named the Frank R. Lautenberg Deep Sea Coral Protection Area, in honor the former New Jersey senator who was an advocate for marine conservation. 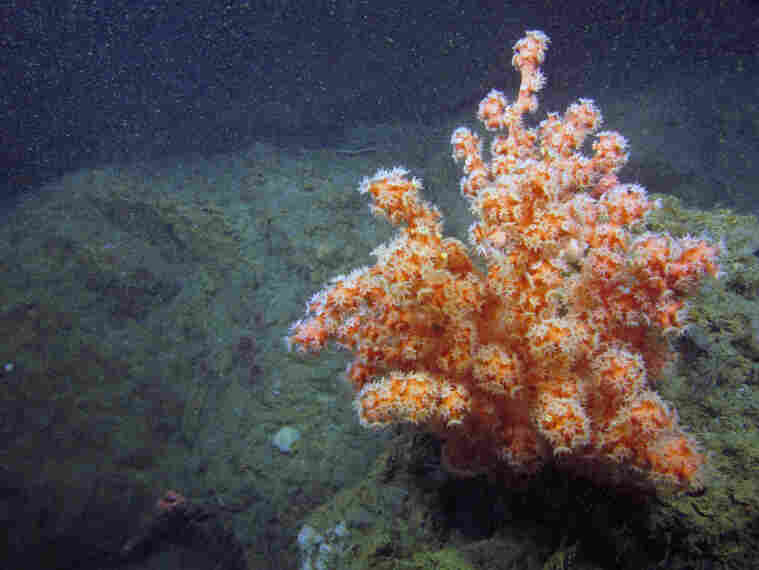 Coral grows extremely slowly and is vulnerable to damage from this kind of heavy equipment that drags along the sea floor. As the NRDC put it: "One pass of a weighted fishing trawl net can destroy coral colonies as old as the California redwoods in seconds." "They've lived a long time but they live in an environment that is cold, with huge pressure, without light," Joseph Gordon, Pew Charitable Trust's manager of U.S. northeast oceans, told Delaware Public Media. "And so fishing technology could damage them in a way that could take centuries to recover from." The area is also home to many other animals, the NRDC adds, "including the endangered sperm whale, as well as sea birds, sea turtles, tunas, sharks, billfish, and countless other species." 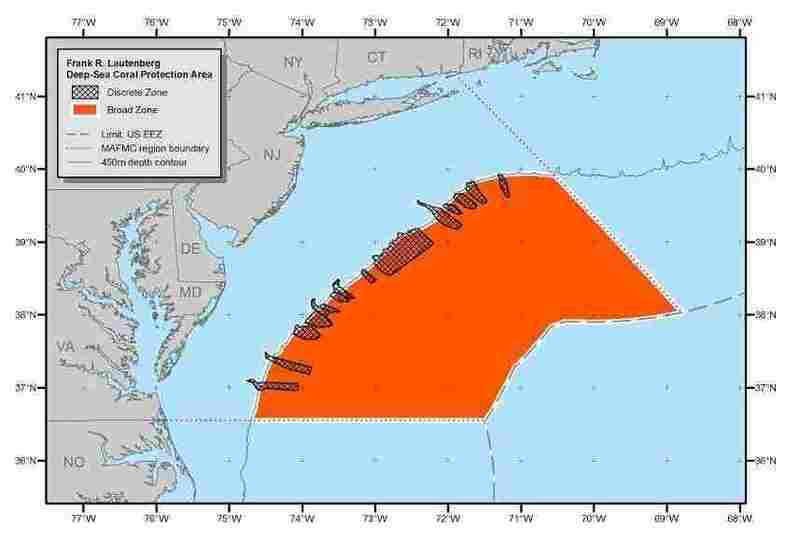 The Mid-Atlantic Fishery Management Council began to look into setting up a protected area here in 2013, and NOAA issued a proposed federal rule in September 2016. It was finalized on Wednesday. John Bullard, Regional Administrator for the Greater Atlantic Regional Fisheries Office, hailed this rule as a "great story of regional collaboration among the fishing industry, the Mid-Atlantic Council, the research community, and environmental organizations to protect what we all agree is a valuable ecological resource." And Bob Vanasse, the executive director of Saving Seafood, which represents the commercial fishing industry, told Virginia's Daily Press that he thinks this is "the right way to protect these resources." "This is a situation where the industry came together with the council, with NOAA and with environmentalists and came up with a plan that created a compromise that everyone could live with," Vanasse told the newspaper. "It's a bright, shining example of how to do it right."